Is It Crazy to Retire to Costa Rica? People often tell us how brave they think we are, and that they admire us for venturing out and doing this crazy thing—quitting our jobs in our early 40s, giving up all stable income, and moving to and living in a foreign country. Of course, some people have also told us that we’re crazy. And, it’s true: it is crazy…but it works for us! When my husband and I first started talking about retiring early and moving to a foreign country it, I thought to myself: “Well, this is nice and fun to dream about, but there’s no way we’ll ever really do it!” I mean, who really up and quits their job and moves to a foreign country with no plan of working before retirement age? Well, it turns out, I do. We do. When we made the decision to retire early, we weighed up all our overseas options. We researched Panama, Belize, and Ecuador, as well as Costa Rica. We decided that Panama was too hot for us…Belize too expensive…and Ecuador too far from the U.S.
Costa Rica, however, was just perfect…so we turned our backs on our busy, corporate lifestyles in Dallas, for fun, freedom, and adventure in the country’s Central Valley town of Grecia. A little over a year ago, my life was completely different. My husband and I were living in a beautiful house in a gated community in the heart of Dallas, Texas. We went out to eat all the time. If we wanted something, we bought it. We both had excelled in our careers. We had nice cars and nice “toys” to play with. From the outside looking in, our life appeared to be good. But here’s the thing: we weren’t happy. We hardly ever got to spend quality time with each other. When we were together, my husband’s work phone was always beeping, ringing, or dinging. More often than not he had to jump ship on our date nights and run into the office to fix whatever emergency had come up at the last minute. His job was affecting him mentally, physically, and emotionally, and it was also affecting us as a couple. We knew it was time for a change. 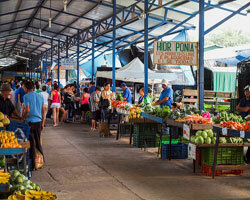 In the town of Grecia, Costa Rica, a couple can spend as little as $1,500 a month, including rent. Greg and I were both in relatively good health, and wanted to take the chance to live overseas while we still could enjoy ourselves. We did not want to wake up some day in the future having recently retired…and find out suddenly that one of us had cancer and would be gone in three months. With our decision made, we slowly and methodically went about selling all of our possessions. With the exception of a couple of things, it was actually very freeing to get rid of all this “stuff” we’d accumulated over the years. The more stuff we sold, the better it felt. I no longer wanted to define myself by the house I lived in, the type of car I drove, or the designer purse I carried. Today, our lives in Costa Rica look totally different. Greg and I spend our time hiking, sipping coffee or a glass of wine, meeting with friends, indulging hobbies we had no time for back home, and running our blogs. We don’t want for much here either. 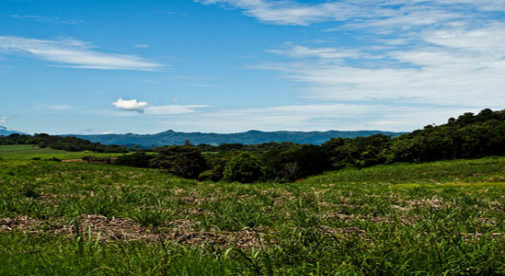 Because of Costa Rica’s low cost of living, we’ve been able to live well on our savings and retirement accounts. We spend about $1,500 a month—though some months we spend less. That includes rent on a two-bedroom home with a stunning view of the surrounding hills. So yes, we are crazy…by North American standards. But, we are also very happy living this simplified life in such a beautiful country. The reduction of stress has improved our health and we now have time to enjoy each other. Crazy or not—I love my life in Costa Rica.